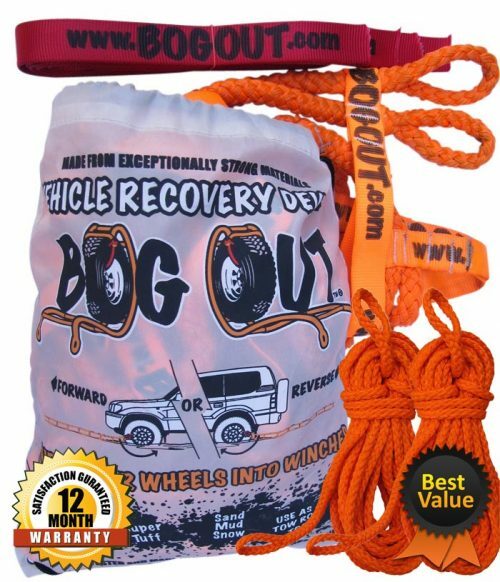 Same as the BOG OUT single but two harnesses in one pack and twice the fun. 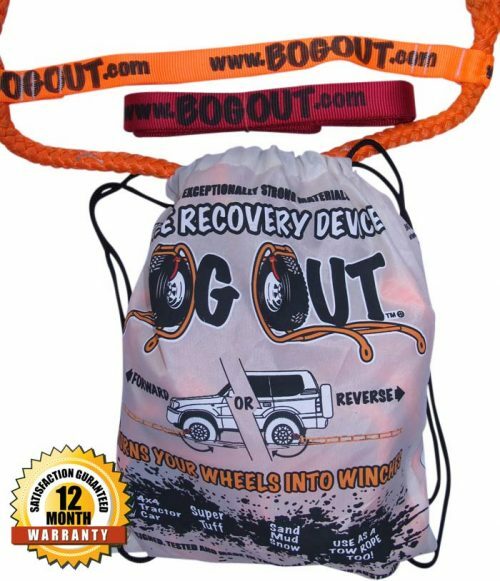 For the more serious ‘off roader’ the award winning BOG OUT twin pack will suit better because this model allows users to turn either both front or both rear wheels into winches, giving the vehicle a massive haul potential of around 7 tonnes! 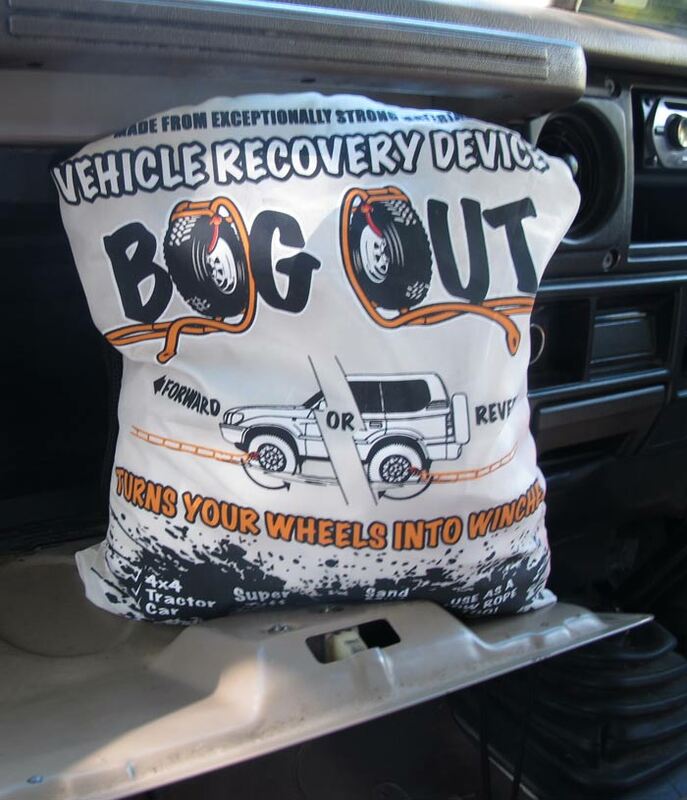 Essentially they are 3.5 tonne, 4.5 metre harnesses made from exceptionally strong materials, designed to allow your vehicle’s wheels to become winches. We have made this standard model to fit the wheels and tyres of almost all cars, 4wd’s and smaller tractors. 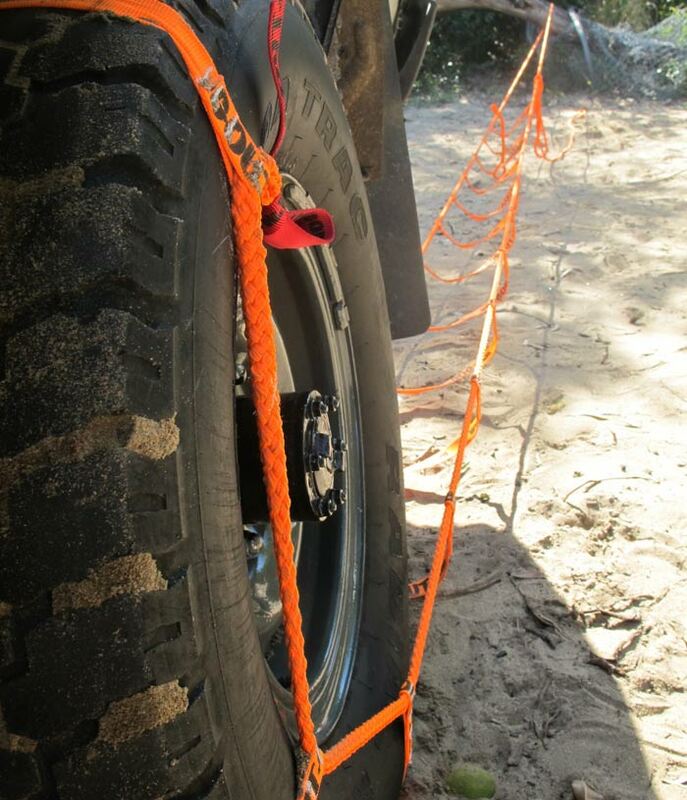 Standard tyre widths ranging from 165mm (6 ½”) to 345mm (13 ½”) are accommodated and this is the model (code 1102) for those and everything in between. 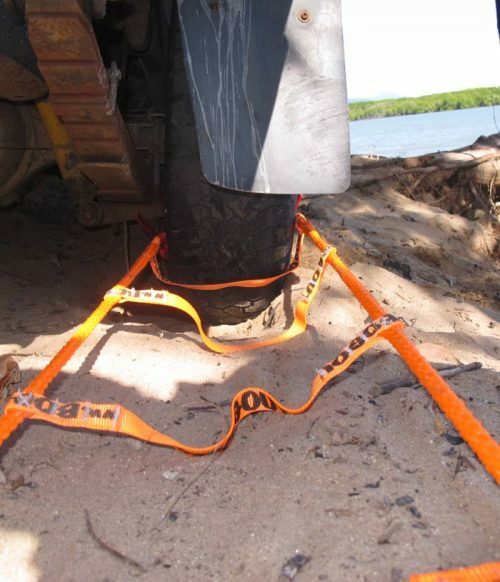 Larger tyre diameters (35’s +) are no problem. 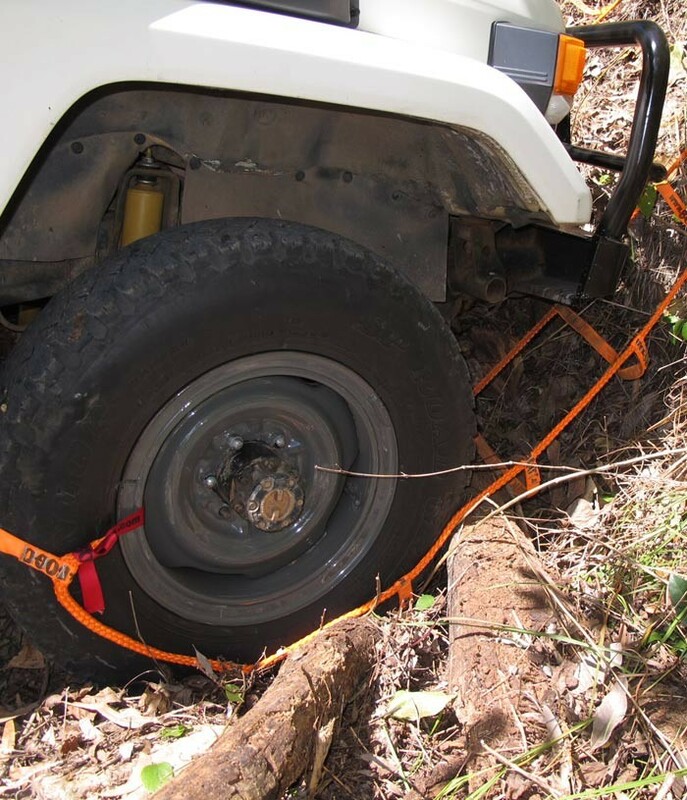 We offer solutions for very low profile car tyres or small diameter wheels such as ATV’s or mowers, even motorbikes, as well as for heavier machinery and very large tyres. 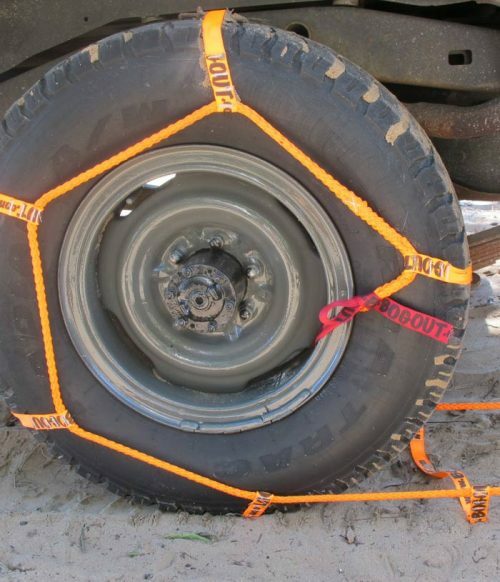 See Custom Solutions. 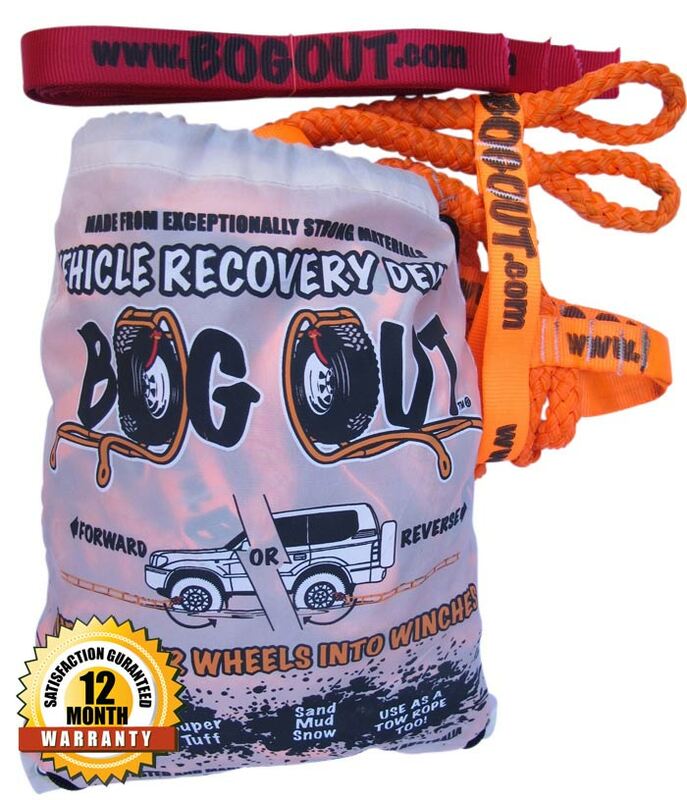 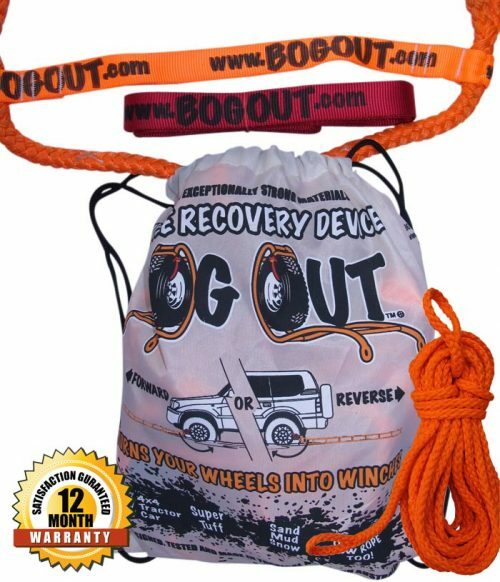 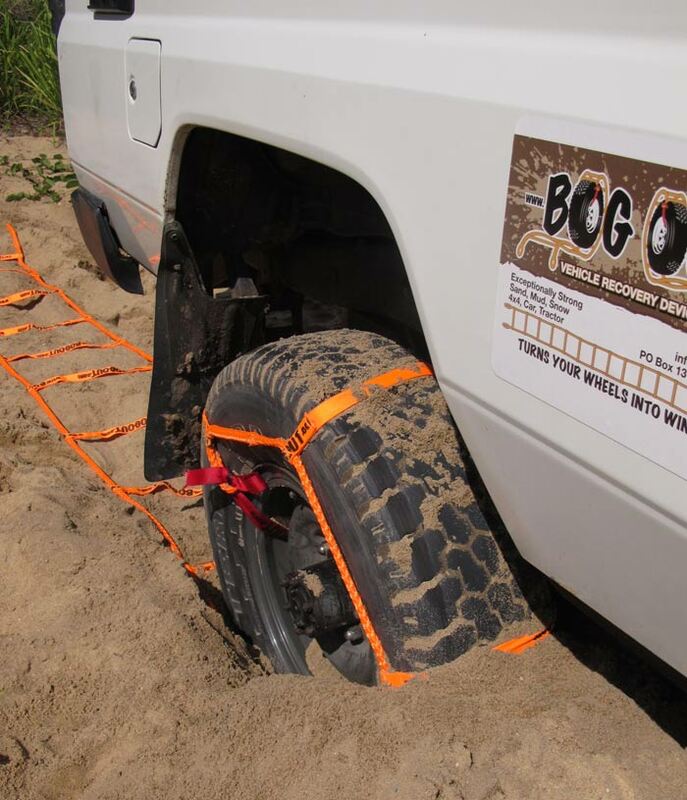 BOG OUT can also be used as a 3.5 tonne tow rope and the nylon carry bag is perfect to store used and dirty BOG OUT’s so your vehicle can keep clean, simply wash when you get home. All materials are specifically manufactured to our low stretch, high strength formula and are impervious to water. 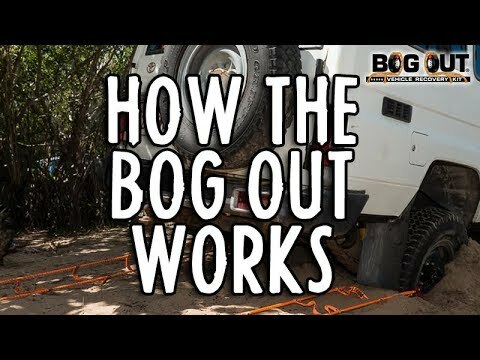 Bought the bog out recovery system a couple of years back but had to wait a while to use them. 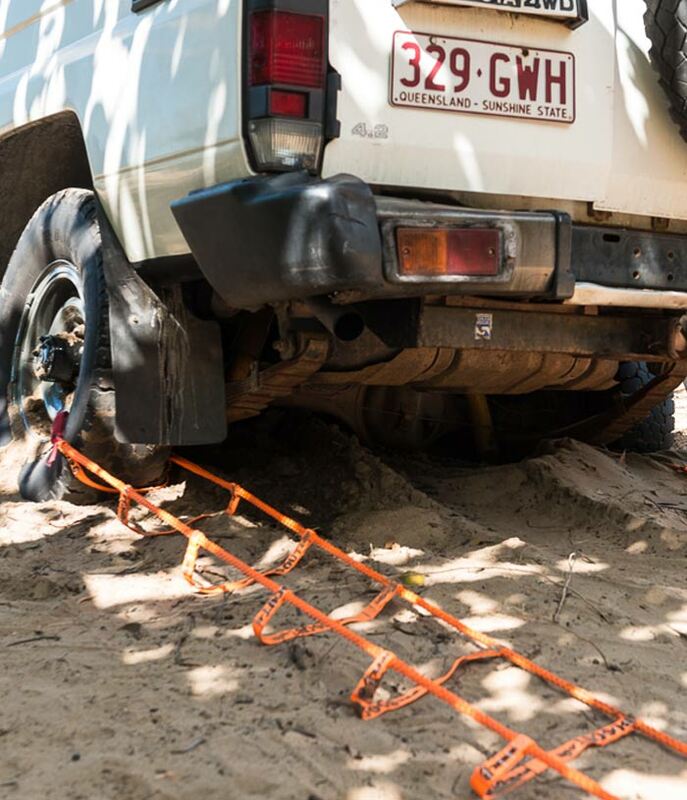 Last year, however, we were doing the Beachport to Nora Criena Beach 4wd track when I misjudged a steep dune and got stuck just before the top and got stuck up to the under belly of my Pajero.